We were delighted when Clare asked us to make her 3 bridesmaids dresses. 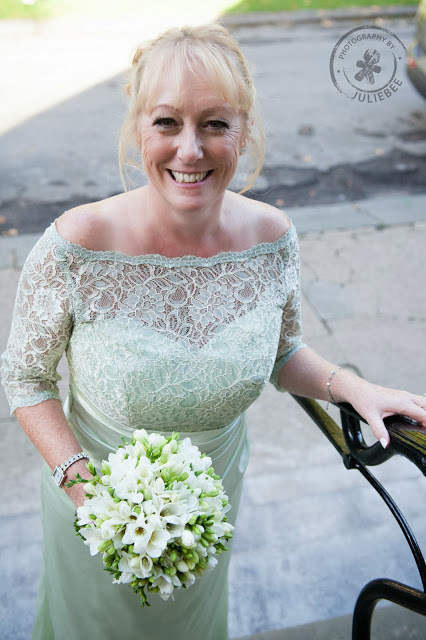 Clare had a light summery feel to her wedding and went for Coffee coloured chiffon dresses with different necklines to suit the 3 different girls. the dresses had an empire line band which ended in a bow at the back, the bow very similar to that on Clare’s wedding dress. It was a real pleasure working with Clare and her bridesmaids, and the final look of the wedding came together so so well. 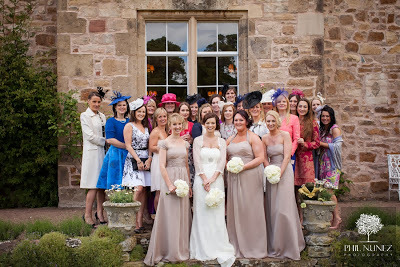 The ceremony was at St. Mary’s Kirk in Haddington and the reception at Lennoxlove…. We had previously worked with Audrey, and when we heard Audrey was engaged to be married, we were so excited she asked us to make her wedding dress. We knew her wedding would be amazing and full of sophisticated touches. Audrey went for a Pistachio green lace to sit off the shoulder and a silk crepe back satin silk skirt. We made a light internal corset and ruching on the waist, the dress had covered buttons and loops at the back. The wedding was held in One Devonshire Gardens, and the city sophisticated dress suited the venue to a T….